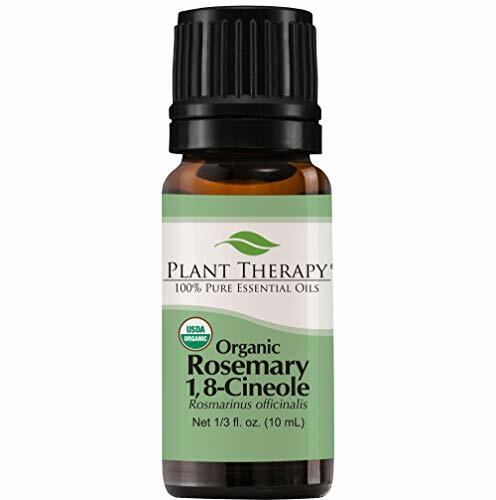 VERSATILE AROMATHERAPY OIL: Diffuse our Organic Rosemary 1,8-Cineole to create a stimulating and uplifting atmosphere in your home. It is widely used in massage blends in combination with black pepper organic to relieve muscle pain and arthritis. Add it to your favorite DIY shampoo products or carrier oils to boost hair growth or use it as a scalp treatment. A maximum of a 1% dilution is recommended for head and face. 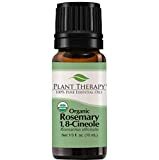 100% NATURAL CONCENTRATED HEALING OIL: Steam distilled from the aerial parts of the Rosemary (Citrus sinensis) plant, our Rosemary essential oil is FREE from fillers and additives leaving nothing but a pure USDA Certified Organic essential oil. Use it with your favorite diffuser to relieve symptoms of respiratory issues like coughs or congested nose.